It was only a matter of time. EmojiWorks, an Austin based company at the time of writing, has built a physical keyboard that allows you to use emojis without opening a separate app or window. Of course, there have been others. Tom Scott being the most notable. There was also that silicon overlay thingy which successfully raised money on Kickstarter in August. But this is the first keyboard we’ve seen that isn’t a concept or add-on. 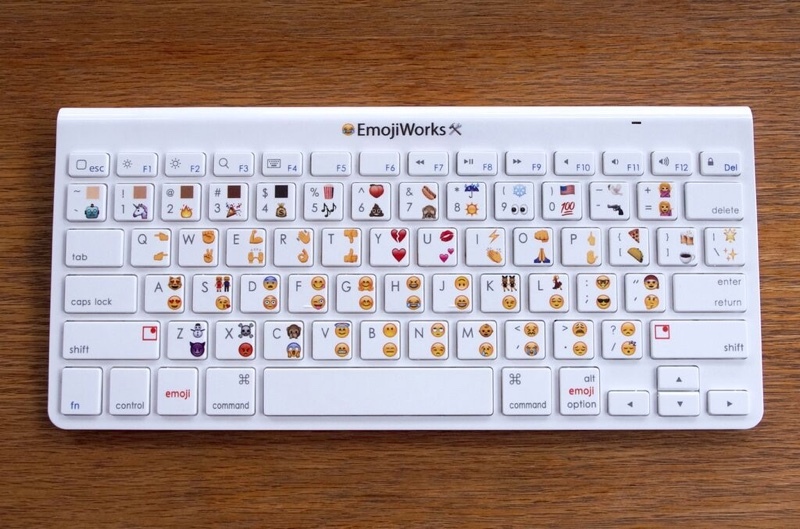 It’s a physical keyboard you can buy and emoji your life away. Of course, it can also be used as something you might actually use for words, but its focus is very much on the :). Each key contains as many as three emojis, which are activated by pressing either one of the ’emoji’ buttons at the bottom of the keyboard. EmojiWorks says this will speed up your emoji typing time by up to 10 times. At risk of causing an internet meltdown, they’ve even added the newest round of emoji released in September. Yes, they’ve even included the Taco emoji. The keyboard is Bluetooth enabled and is compatible with all Mac, iOS and Windows tablets, laptops and desktops. The company has released three separate keyboards depending on how avidly you use the icons in your day-to-day conversations. The basic Emoji Keyboard ($79.95) features just 47 emoji, the Keyboard Plus ($89.95) a respectable 94 and of course, the Pro version ($99.95) comes with a whopping 120. As an extra bonus, the Plus and the Pro versions feature skin tone modifying buttons. For luddites like me who hope and pray there’s still room for the written word, we may have to learn how to start using devices like this. You can join them by pre-ordering on the site.